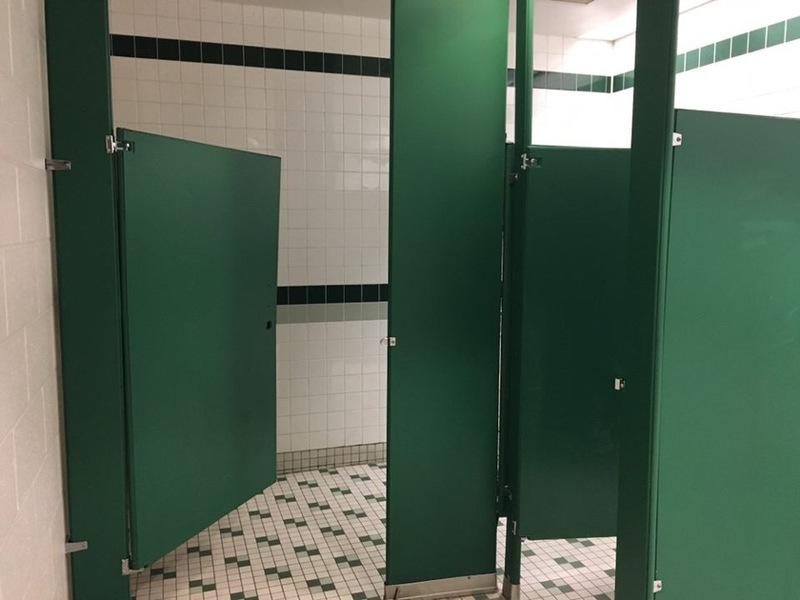 At approximately 12:15 p.m. today, a student reported threatening graffiti on one of the stall walls of a RBHS boys’ bathroom, according to a statement RBHS Principal Dr. Jennifer Rukstad emailed to teachers and parents. Additionally, Dr. Rukstad asked parents and teachers to help stop rumors from spreading among students and staff. During third hour, Sophomore Brent Brightwell said he asked to go to the bathroom and his teacher told him to return quickly. At the same time of day, Advanced Placement World History teacher David Graham noticed police beginning to arrive at RBHS. Graham said he thought that either the police were training for something or something was going on at RBHS. Graham said that although it would be nice to have known exactly what was happening as soon as it happened, he knows that the general school population does not fully understand what exactly administration is working with. Q: What exactly happened today? A: There was some graffiti found in a restroom that contained some threatening language. We chose to investigate the graffiti and determined that there was no credibility to the threat. Q: What was the immediate reaction of administration? A: As with any threat to school safety, we immediately began investigating the threats origin and contacted our district safety and security personnel for guidance and assistance. Q: How did having a police presence impact RBHS today? A: The police presence had little to no impact in terms of instruction. I believe the increased police presence helps communicate to students, parents, and staff that we take all threats seriously. Q: Does administration have any idea/leads as to who spread this rumor? A: Yes, we do. I can’t disclose any specifics to you, but we’ve got lots of information. Q: Why did administration choose to inform teachers about the rumor? A: As with any rumor, we believe it’s important to inform teachers with the facts as quickly as possible. Rumors have a tendency to grow rather quickly so we felt it was best to inform teachers of the facts in as timely a manner as we could. I remember my friend saying something about this and was concerned. Usually, you see cuss words or love notes inside of stalls, but this was over the line.